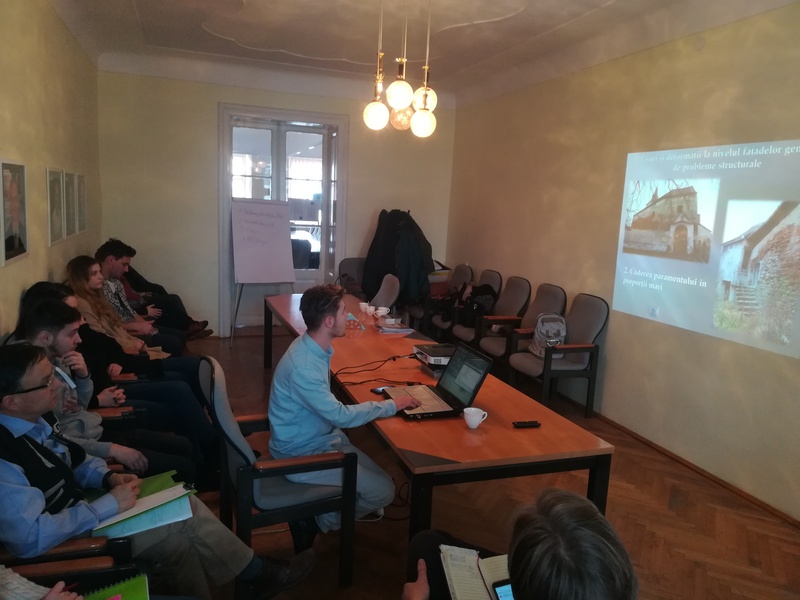 On 28 February 2018, eleven students from the 3rd year of the “Coservation and Restoration” course at the University of Architecture and Urbanism Ion Mincu presented their proposals for the use of the Movile, Agârbiciu and Daia fortified churches. Under the direction of Professor Architect Liviu Gligor, the students had prepared their presentations in recent months. The proposals for using the premises in the fortified churches ranged from small cafés and libraries to considerations on the use of the rooms for events. One idea was to furnish a castle keeper’s flat in its original state and then make it accessible to visitors. The project involving three fortified churches has been funded by the Ambassador’s Fund for Cultural Preservation (AFCP) with a total of USD 59,300 since May 2017. The US Embassy thus supports the securing work on the three fortified churches of the Evangelic Church of Augustan Confession in Romania. Last summer, American Ambassador Hans Klemm presented Bishop Reinhart Guib with a symbolic cheque for the project.